"The secret of happiness, is the avoidance of Angst. It is a mistake to consider happiness a positive state. By removing Angst, the condition of all unhappiness, we are then prepared to receive such blessings as may come our way." I would replace Mr. Connolly's use of the word happiness with the word joy. Happiness is dependant upon external circumstance, whereas joy comes from within and can occur even in the midst of terrible circumstances (I'm reminded of Horatio Spafford, who--after being financially ruined in the Great Chicago Fire and losing his four daughters on the Titanic--wrote the hymn It Is Well with My Soul). Angst is a perfect word though for the feeling that permeates many people's lives. It is defined as fear, anxiety, apprehension, malaise, dis-ease. The Buddha called it dukkha and said "I teach one thing and one thing only: dukkha and the end of dukkha." If you watch young children who are raised in a healthy environment, you see joy. We are born with a joie de vivre. It is a gift from God. But as we grow up and are exposed to (and harmed by) the complex matrix of human ignorance and sin that exists in the world, our joy is diminished--and in some cases, crushed. The objects of our mis-placed desire may bring a transient happiness, but they don't bring joy. In fact, the pursuit of these objects of desire actually leads to the further diminishment of our God-given joy. Eventually, our mis-placement of desire can result in our becoming enslaved to attachments and addictions. Then our joy is truly crushed. This erosion of joy by the rains of angst is a long and gradual process. And so, the road back to joy is also a process. Whereas the first process was one of grabbing onto things, the second process is one of letting go. As we let go of the objects of desire and as we allow and embrace the emptiness that results, joy begins to seep back in. The Author of joy, who has been with us all along, loves to fill the empty spaces with Light. Angst diminishes. A quiet joy comes in its place. Another word for this experience is shalom. Deep peace. The 17th century Quaker George Fox wrote, "Be still and cool in your own mind and spirit from your own thoughts, and then you will feel the principle of God to turn your mind to the Lord God, from whom life comes; whereby you may receive his strength and power to allay all blusterings, storms, and tempests. That is it which works up into patience, into innocence, into soberness, into stillness, into firmness, into quietness, up to God, with his power." Therein lies the paradox and the tricky part: How to let go? We want to grasp at joy, like we grasp at so many other things. But joy cannot be grasped. It can only be gratefully received. I find that just as joy is a gift from God, so is the ability to let go of the things that bring angst. For me, the more intent I become on accepting that God loves me without condition and then responding by simply being still in God's presence, the easier I find it to let go of my objects of desire. I care less what other people think of me. I find it easier to not awaken the sleeping beast of lust. The poison waters of angst begin to recede. Fresh waters of joy begin to bubble up unexpectedly. I can't recall the last time a book by a world-class Bible scholar caused me to repeatedly laugh out loud and turn each page with relish. 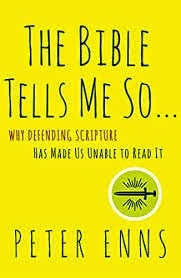 'The Bible Tells Me So: Why Defending Scripture Has Made Us Unable to Read It" is a brilliant little book, about 250 pages broken into bite-sized chapters. Author Peter Enns has Master's degrees from Westminster Theological Seminary and Harvard and also a Ph.D. from Harvard in Near Eastern Languages and Civilizations. He has taught at Westminster Theological Seminary, Harvard University, Princeton Theological Seminary, Fuller Theological Seminary, Lutheran Theological Seminary, Biblical Theological Seminary, Temple University and Eastern University on subjects dealing with Biblical Theology (Old and New Testament, Second Temple literature, etc., etc.). He belongs to the Society of Biblical Literature and the Institute for Biblical Research. He has been a major contributor to several Bible dictionaries, Bible commentaries and Bible study guides. In other words, the dude knows the Bible and, if need be, can write dense and weighty theological tomes backed up by rigorous scholarship. But 'The Bible Tells Me So..." is neither dense or weighty (though it is built on a solid foundation of Biblical, theological, linguistic and historical expertise). And did I mention that Enns is funny? Imagine Dave Barry as a Bible scholar. Here, for example, is Enns' summary of an episode in the Old Testament story of Noah: "After the great flood, which killed every living creature not on the ark, and Noah and his family de-arks, Noah plants the first vineyard, makes wine, and gets drunk (maybe he needed to unwind). Like a college freshman, he collapses naked inside his tent in a drunken coma. His youngest son, Ham, enters the tent, sees him lying there, and goes out to tell his brothers, Shem and Japheth. Rather than gawking, the two brothers walk backward into the tent and cover their father with a garment. It's hard to know exactly what's going on here, but, apparently, the two brothers handle the situation correctly whereas Ham doesn't. So, when Noah wakes up, he does what any normal father would do when faced with the same dilemma--he curses Ham's descendants forever." Ba-dum-tssshhh. Enns goes on to explain the significance of this story in a way that is both surprising and enlightening. He does likewise for Biblical texts spanning from Genesis to Revelation. Essentially, this book is both an overview of the entire Bible and a guide for how to appropriately read the Bible. All in 250 pages. With jokes. Yet it has more depth and relevance (and makes more sense) than many of the stuffy books about the Bible that I've read over the years. Enns' central point is that we need to read the Bible on its own terms and not try to impose our expectations upon it. As he writes, "This book is really about having an attitude adjustment concerning the Bible and God in light of how the Bible actually behaves." Enns' not only knows the Bible well, he loves it and respects it and has devoted his life to understanding it. "Hold on to the time-tested wisdom that in order to know God better, we should keep reading and wrestling with the Bible. It's God's Word and that's what he wants," says Enns. But, he adds, "The Bible is not, never has been, and never will be the center of the Christian faith. ... That position belongs to God, specifically, what God has done in and through Jesus. The Bible is the church's nonnegotiable partner, but it is not God's final word: Jesus is." "For The Bible Tells Me So..." is one of those books that I wish I could get into the hands of not only every Christian but also of every person who has even a mild curiosity of what the Bible is about and why it is written the way it is and why that matters and why it was so meaningful to people in ancient times and why it is still meaningful today. Contemplatives know that the work they are doing in silence and stillness touches and affects the whole person. The wounding division between body and mind is gradually healed and the meaning of resurrection becomes clearer. Restored to ourselves, we find our right place in the world and accept our responsibilities in it. The ways of peace and justice are highlighted, and courage to bear witness is born of the new peace in the soul. John Main once said, provocatively but truly, that 'imagination is the enemy of prayer.' He is pointing to what happens when the mind slips out of harmony with the body. It develops a deracinated, imaginary life that no longer serves reality. Our media-saturated culture of virtual reality illustrates the consequences on a global scale. . . .human woundedness is painfully and dangerously associated with daydreaming. Our basic human needs (physical, emotional, social, mental and spiritual) are rarely fully met all the time. When we first realize this the first innocence of life is over. The long journey towards the second innocence, the mature integration that is holiness, has to begin. To reach that goal, however, we have to understand the nature of desire. Unmet basic needs become wounds. To relieve the pain of wounds we imagine what would fulfill the need and that image crystallizes as desire. Consciousness moves from the wound to the desire; our attention is distracted and actions follow attention. We have begun a life of desire. Day-dreaming, as Simone Weil says, is the root of all evil but also, she adds consolingly, the 'sole consolation of the afflicted.' Its only problem is that it is unreal. Diadochus of Photike in the 5th century saw the same problem of desire with the same clarity and drew the same conclusion. He says that desire lingers as unreality in the mind until imagination gives it form. Then it takes on a false existence and when we act on it, trying to fulfill it, it unleashes, through its very unreality, the power of darkness. It is from this sequence leading to suffering and evil that contemplation saves us. We are restored to the real world. Sitting on this river-bank, walking through these trees. Welcomed to the wonders of the real world. Meditation is the practice of contemplation. In daily life it develops our spiritual senses. It allows us to see the difference between needs and desires, to smell out reality from illusion, to feel the difference between the gravity of spirit, which is love, and the gravity of ego, which is fear. The aim of daily meditation. . .is simply to allow this sense of reality to become the standard way of seeing and responding to life. --Laurence Freeman OSB, “Dearest Friends,” Christian Meditation Newsletter, Vol. 28, No. 2, May 2004, pp. 4-5. "For prayer is a living encounter with a living God. In prayer we are seeking to achieve a continuous state of recollection of and wakefulness to the reality and presence of God. Prayer then is closely linked with knowledge. But this knowledge is not a cold, intellectual knowledge. It is what the Greek Fathers called theoria: a passionate, contemplative insight, involving communion and sharing. Prayer is closely linked with, and inseparable from, theology. So Evagrius in the fourth century defines a theologian as 'one whose prayer is true.' Growth in prayer and growth in theology always go together. Prayer and theology are concerned with the experience of God, with the point at which time and eternity meet." "[M]any people are looking for an ear that will listen. They do not find it among Christians, because these Christians are talking where they should be listening. He who can no longer listen to his brother will soon be no longer listening to God either; he will be doing nothing but prattle in the presence of God too. 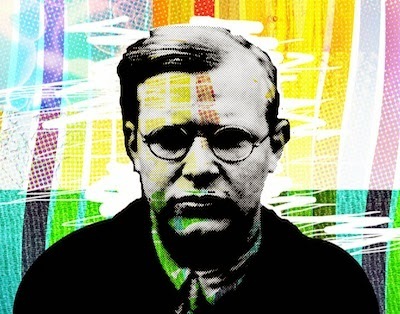 This is the beginning of the death of the spiritual life, and in the end there is nothing left." "Mysticism, according to its historical and psychological definitions, is the direct intuition or experience of God; and a mystic is a person who has, to a greater or less degree, such a direct experience -- one whose religion and life are centered, not merely on an accepted belief or practice, but on that which the person regards as first hand personal knowledge." "But over the past few years, as I’ve personally become even more charismatic in my practices and in my theology, I have found myself distancing myself from our broader family of charismatics, particularly our more public voices. I crave thoughtful voices, I crave hope and faith, and even, yes, a prophetic imagination. Even as my theology remains staunchly charismatic, I have found myself distancing from the culture of being a charismatic. ... Be afraid, the world tells us. 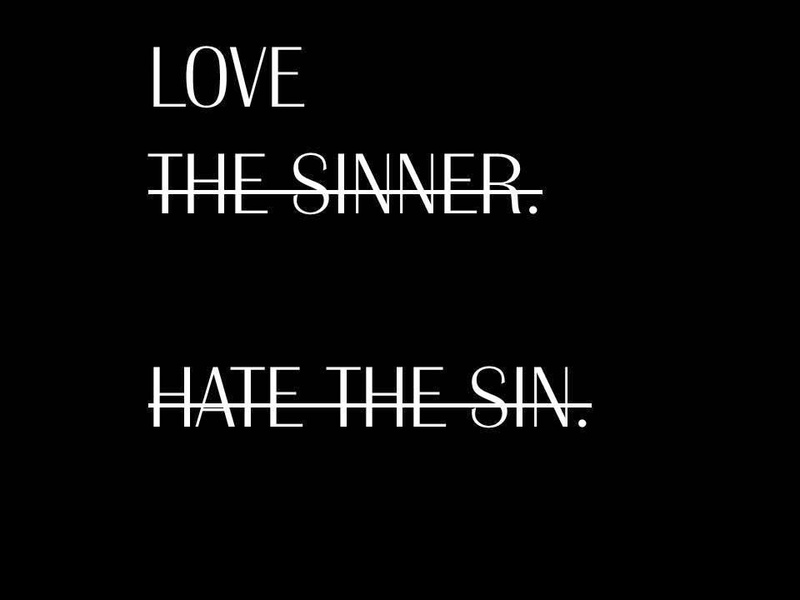 And now, sadly, it seems many of our charismatic/Pentecostal media outlets and leaders are telling us the same thing. Be afraid. Be afraid of money, be afraid of losing “the fire”, be afraid of education, be afraid of theology, be afraid of growth and change, be afraid of gay and lesbian people, be afraid of art and science, be afraid of television, be afraid of artists, be afraid of reading books, be afraid of the news, be afraid of Islam, be afraid of the President, be afraid of the UN, be afraid of immigrant children, be afraid of other churches, be afraid of the Pope, be afraid of socialism, be afraid of the government, be afraid of the world, be afraid be afraid be afraid." "So the life of prayer cannot be separated from this growth in holiness and in this intense, blazing love which comes from the Spirit. The Bible clearly teaches that there is growth in grace. ... The epistles stress growth and movement towards maturity, towards the fullness of Christ (Eph. 3:16-19; 4:13). But growth involves pain and anguish of spirit. The path of self-knowledge and self-scrutiny calls for a willingness to endure deprivation and inner suffering. it is not an easy path, it is the way of the Cross. It involves a confrontation with self, a stripping away of the false self, a purifying of the personality. True religion helps us to grow, but pseudo-religion hinders growth, for it creates and maintains obstacles and barriers. Thus it is that much religion merely censors experience and does not liberate it, stifles human potential and does not allow it to blossom. Much religion is superficial and does not help the journey inwards which is so necessary for spiritual health. There has to be a movement towards the still centre, the depths of our being, where, according to the mystics, we find the presence of God." "He who would in his own person test the fact of God's presence can do so by a living faith. Exercise of faith will be the safest where there is a clear determination summarily to reject all that is contrary to Truth and Love." "The one and only test of a valid religious idea, doctrinal statement, spiritual experience, or devotional practice was that it must lead directly to practical compassion. If your understanding of the divine made you kinder, more empathetic, and impelled you to express this sympathy in concrete acts of loving-kindness, this was good theology. But if your notion of God made you unkind, belligerent, cruel, or self-righteous, or if it led you to kill in God's name, it was bad theology. 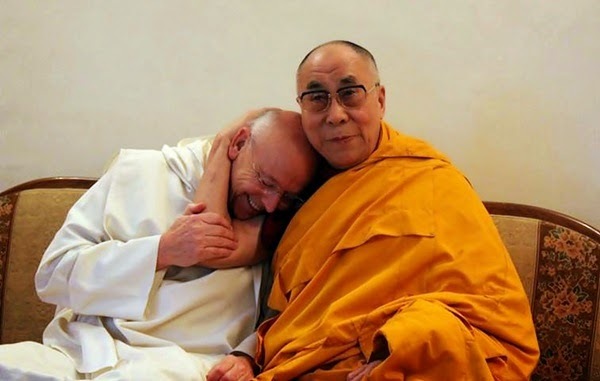 Compassion was the litmus test for the prophets of Israel, for the rabbis of the Talmud, for Jesus, for Paul, and for Muhammad, not to mention Confucius, Lao-tsu, the Buddha, or the sages of the Upanishads." Quaker silence is a deep, focused, listening, communal silence. I find it to be incredibly grounding and connecting and life-giving. Thomas Kelly wrote, "In the Quaker practice of group worship on the basis of silence come special times when an electric hush and solemnity and depth of power steals over the worshippers. A blanket of divine covering comes over the room, and a quickening Presence pervades us, breaking down some part of the special privacy and isolation of our individual lives and bonding our spirits within a super-individual Life and Power—an objective, dynamic Presence which enfolds us all, nourishes our souls, speaks glad, unutterable comfort within us, and quickens in us depths that had before been slumbering. The Burning Bush has been kindled in our midst, and we stand together on holy ground." "[M]y 'Buddhist phase' has informed and, I believe, strengthened my understanding and practice of Christianity. And this is not to say that these ideas aren't found within Christianity. Mindfulness, non-attachment, wisdom, practice--these are all found within the bible and Christian tradition. The problem was that my Sunday School training in Christianity never pulled these ideas to the surface. Ironically, it took an exposure to Buddhism to help me find these treasures within my own faith tradition."